The stress induced from being involved in a wreck can be a monumental burden on your mental well being, as well as a huge obstacle to going about your daily tasks and obligations. Having a certified repair facility that you can rely on can go a long way in reducing the stress associated with having a damaged vehicle, and Complete Automotive will do just that. Our skilled staff of technicians will do their best to put you back on the road looking and function as good as knew, and in a timely fashion too! 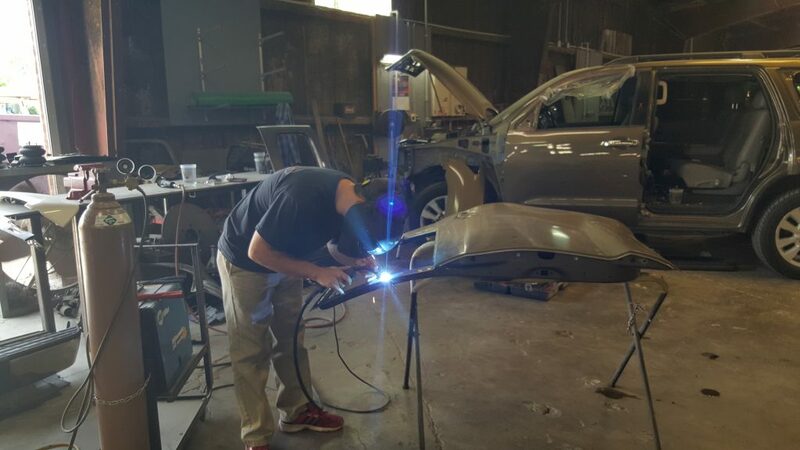 The certified repair facility and body shop at Complete Automotive near Baton Rouge offers a variety of services that make your post-wreck experience as smooth as possible. For example, we provide 24-hour towing so transportation is no issue. Once your car arrives, our ASE and I-CAR certified technicians will restore your car, truck, SUV in an efficient manner. Our certified repair facility is among a small minority of body shops that have earned these credentials, as less than 5% of the nation can claim a similar feat. Our qualifications require we have the proper tools, facilities, and training to meet the strict requirements of a dynamic automotive industry. Our expertise allows us to work on INFINITI, Nissan, Hyundai, Chevy, Cadillac, and Buick cars, among many others. Simply put, no matter the make, model, or body type, we have the know-how to make your time without your car as short as possible. There are certain steps that you need to follow in order to remain safe after you get in a crash. First, you’ll need to move your car off the roadway as long as it is safe and legal. Then, turn off the ignition if each vehicle involved and perform a first aid check on everyone. If no one needs assistance and no one is in danger, call the police and mark the scene with flares or retro-reflective triangles. Next, remove debris from the road that is a hazard to other drivers and collect the names of those that were involved in the wreck and potential witnesses. Details like where people were seated in their respective vehicles, as well as the date, time, and weather conditions are important too. Finally, collect license numbers, exchange insurance information (with no mention of fault), and get a copy of the police report from the local precinct. This procedure will ensure you don’t encounter unnecessary obstacles or experience needless harm. Complete Automotive has proudly served the communities of Zachary, St. Francisville, Clinton, Slaughter, New Roads, Baton Rouge, and Baker with extraordinary customer service and expert repairs. We can tackle a variety of tasks including air conditioning repair, brake changes, oil changes, tune-ups, and more. If you are experiencing problems with your car, truck, or SUV, don’t wait for the problem to get worse; visit Complete Automotive for speedy maintenance.